Odoo inventory comes very sophisticatedly. It offers the user varied inventory features to improve his business like never before. The warehouse management is a must for any manufacturing industry, a well-kept inventory acts as an asset for a manufacturing industry. 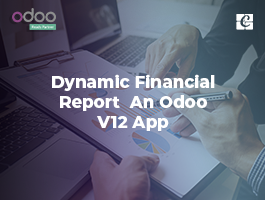 With the Odoo inventory warehouse management is no more strenuous as it defines the solution to planning, scheduling, processing and allocating resources in warehouses. 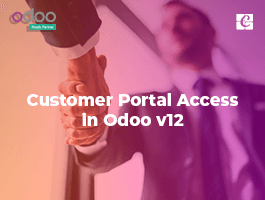 The inter-warehouse transfer is a feature provided by Odoo inventory. This function is implied for the purpose of transferring goods between two warehouses. This feature is quite helpful for those companies who equipped with multiple warehouses and is in need of constant transferring of goods from one warehouse to another. With the help of Odoo ERP software, the inter-warehouse management can be made easier, simplified and transparent. 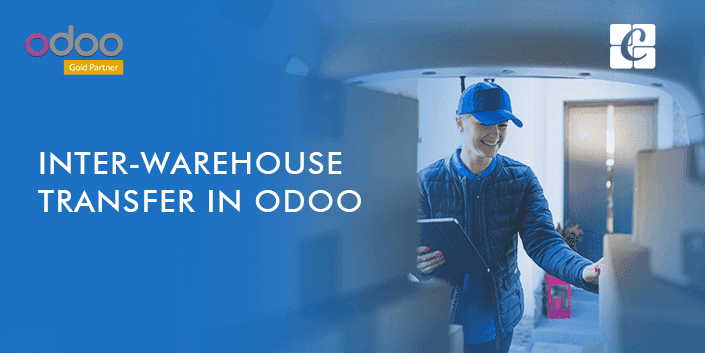 In this blog, we will see how the inter-warehouse transfer is done in Odoo. 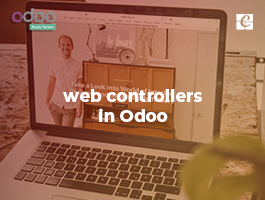 To configure the inter-warehouse transfer, first, we have to select the multi-location in Odoo inventory. Now there will be an option called manage several locations per warehouse, tick on that. Now click on apply to save the changes. As the first step is successfully done, proceed with the second, creating a new warehouse. For that select the inventory application. Now open configuration > warehouse management > warehouses. Now by clicking on “create” we can make the new warehouse. Create the main name and short name for your warehouse. The short name here is very important. This name appears on warehouse document and transfer orders. Now after creating the new warehouse, the new operation will be automatically created for the warehouse in the dashboard. 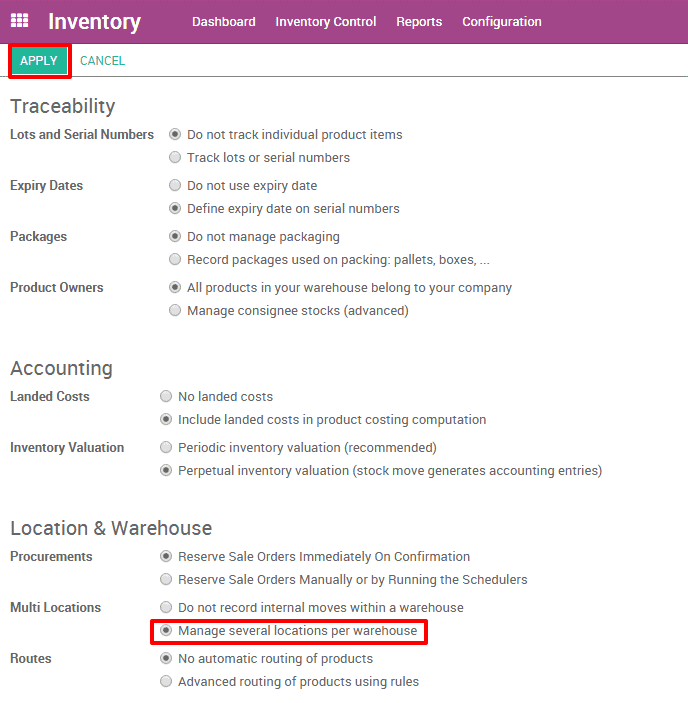 If the new warehouse contains a physical inventory which is already there, we have to create a new inventory in Odoo. Otherwise, this step can be ignored. The inventory application should be accessed first. Then inventory control > inventory adjustment. Now click on create to create the new inventory. We have to fill the details such as inventory reference, date etc. The right warehouse and location shall be selected without mistake. Once all the products have been recorded, validate the inventory, for that click on ‘validate inventory’. Now that we have two warehouses the final task is to create a transfer between these warehouses. First go to your dashboard, select one warehouse and select internal movement. To do the internal movement, click more > transfer. After doing this a new window will open, here we can select the old warehouse in the source location zone and the new warehouse in the destination location zone. The transfer is happening between the old warehouse and the new warehouse. Click on add an item to add products which have to be transferred. After this click on validate or mark as TO DO option. 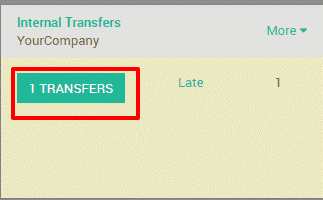 Now we can select the validate option, once validated, all quantities will be processed to transfer by Odoo. Now if mark, as TO DO option, is clicked, the items to transfer will be put on the waiting list. Here the status will show as ‘waiting availability’. Reserve the product to the main warehouse by clicking on ‘reserve’. 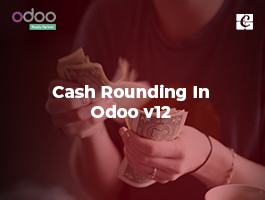 If we want to transfer each product manually, Odoo has got provision for that also. 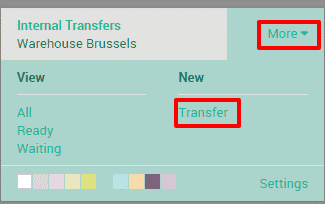 First select dashboard and in source location select the transfer order. The pencil logo in the lower right corner of the below screenshot has shown is clicked, this will open the operations detail window. Manually add the no of products for processing in here. 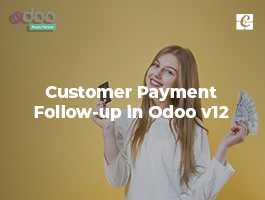 There is also a special option called backorder in Odoo where we can partially process the transfer order in case of any unprecedented events. 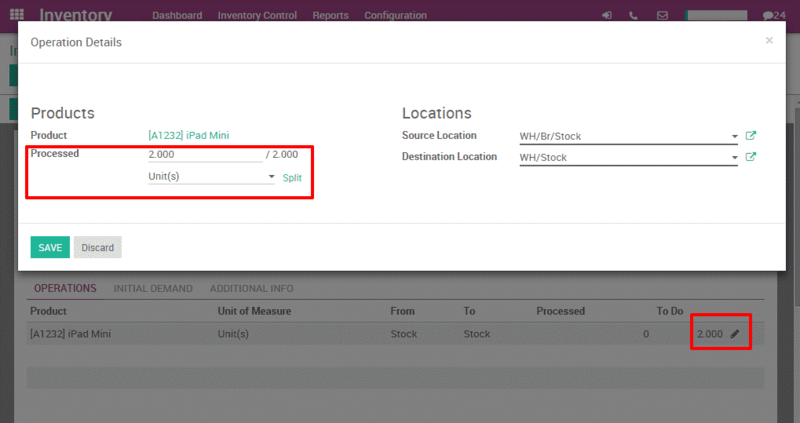 This is how Odoo inventory manages inter-warehouse transfers.